Experiments with the invasive wildflower Medicago polymorpha show that the plant evolved to be a tougher competitor as it established itself in new habitats, including California. The research, conducted by biologists at CSUN and Michigan State University, and recently reported in the journal Oecologia, demonstrates the role of genetic variation in facilitating species invasions. CSUN Associate Professor of Biology Casey terHorst and graduate student Camdilla Wirth report, and their collaborator Jennifer Lau, planted Medicago polymorpha seeds collected from the plant’s native range in the Middle East and Mediterranean region alongside seeds from populations established in northern Europe, Japan, South America, and the United States in two experiments. 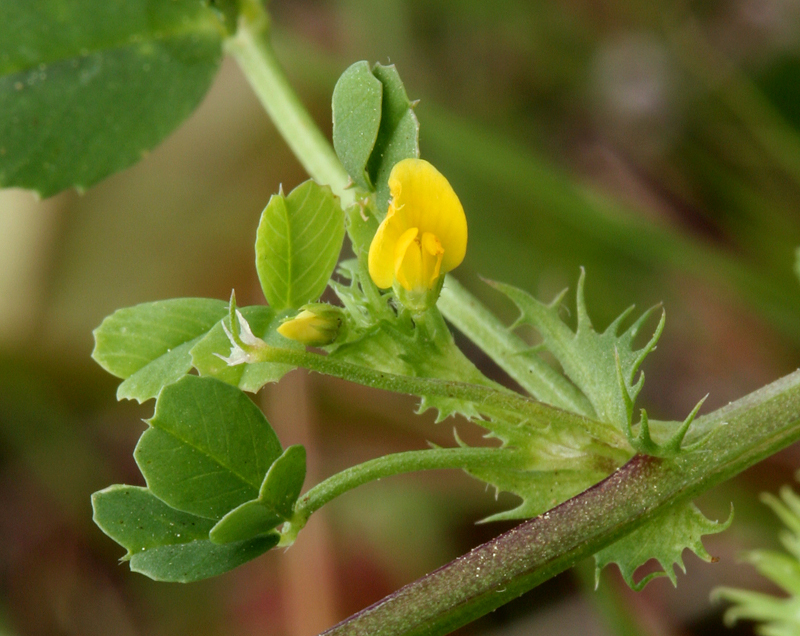 The first compared the plants’ response to whole soil microbial communities and competition from other Medicago polymorpha plants or a similar native species; the second focused on the effects of nitrogen-fixing mutualistic soil bacteria and competition. The invasive species benefitted from soil microbes collected at the field site where it grew at the highest density, and grew bigger in the presence of the native competitor when inoculated with the nitrogen-fixing bacteria specifically. However, plants from the invasive populations gained less from the presence of rhizobia than plants from the native range, and terHorst and his coauthors concluded that the invaders may have been able to move into ranges that lack suitable microbial partners by evolving to rely less on those partners. The complete paper is available from the Oecologia website.